Cape Town - Lewis Hamilton believes Mercedes’ surprise results in Singapore and Malaysia were crucial towards his world championship win. Hamilton is in Kuala Lumpur for a title celebration party after testing finished at Abu Dhabi, following last weekend’s final Grand Prix of the season. The British driver has been reflecting on the 2017 campaign after becoming world champion for the fourth time. 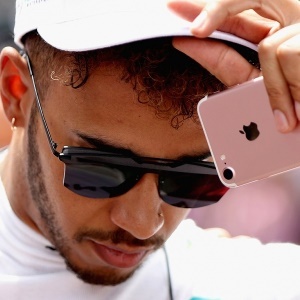 And Hamilton believes September’s win in Singapore and the following month’s second placed finish in Malaysia were the turning points of the title battle after his Mercedes performed much better than expected in both events. "There were just some fundamental issues that we'd have with the previous year's car that were magnified in this bigger, beefier car that we had this year," he said. "There were some races where it really was difficult for us. Ferrari's car generally just worked everywhere and was just consistent everywhere whereas we had some highs and some lows in terms of performance. "But in the second half of the season particularly we really salvaged a lot from those weaknesses. You look at Singapore - we came out further ahead than we had planned, obviously with the fault of some others, and that was a weekend where we were at our worst performance.